10 Best PR is delighted to announce a new award celebrating excellent PR firms: Best Public Relations Company. This PR award celebrates industry experts who excel in providing clients with the tools, resources, and ongoing support necessary to optimize visibility, client/consumer connectivity, and conversion rates. Respected ranking organization 10 Best PR has developed a brand new award—the Best Public Relations Company Award—to highlight excellence in the field. The winners of the new award are Veritas, Exponent and Big Picture, all of which offer substantial expertise within the industry. 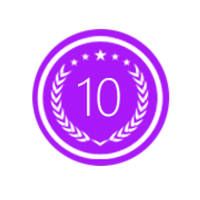 10 Best PR is an awards organization which has experienced remarkable growth in recent times, thanks to their dedication to the public relations industry. This organization has compiled a detailed list of which public relations firms deserve to be given awards for their particularly high standard of quality and excellence in customer service. An organization may benefit from working with one of the companies that 10 Best PR has selected as a winning company for their dedication and outstanding service. Veritas, which tops 10 Best PR’s list of best public relations companies, is based out of Toronto, Ontario in Canada. This public relations company has developed a strong following thanks to their total dedication to their customers. Veritas employs unique strategies in order to get their clients noticed in the most positive way. Since influencing the public opinion can be difficult, they have the media contacts and the expertise necessary to break through the noise and get a company some positive attention. Veritas can also assist with strengthening a company's brand image due to their years of experience with branding. Exponent is a top PR agency located in Minneapolis, Minnesota. This leading public relations firm is staffed by true public relations veterans who have decades of combined experience. If a business chooses to work with this company, they and their organization will receive some truly excellent customer service. This public relations company knows exactly how to present their business, service, or product to the media so that they can get the attention they deserve. If a business needs to correct a public blunder and change the public's opinion about their organization, Exponent can help them succeed in reversing any negative image problems as well. Big Picture PR is a leading public relations company that also made 10 Best PR's list because of its demonstrated expertise in the field of public relations. Located in New York City, this public relations firm has worked with major clients like Conde Nast, GQ Magazine, LUNAR and Salon. If a company chooses to work with Big Picture PR, they will find that this firm provides nothing short of excellent service and will do whatever it takes to polish their public image. For more information about this month’s award winners, please visit http://www.10bestpr.com.